If you not only have expectations, but also set the standards along the way, you need patience – as well as attention to detail, an eye for special things. And you need the best experts in the region! This winter, the Rosewood Hotel in Burma’s capital Yangon opens right next to the Irrawady River. This establishment is designed to do nothing less than redefine luxury in Myanmar’s capital, Yangon. 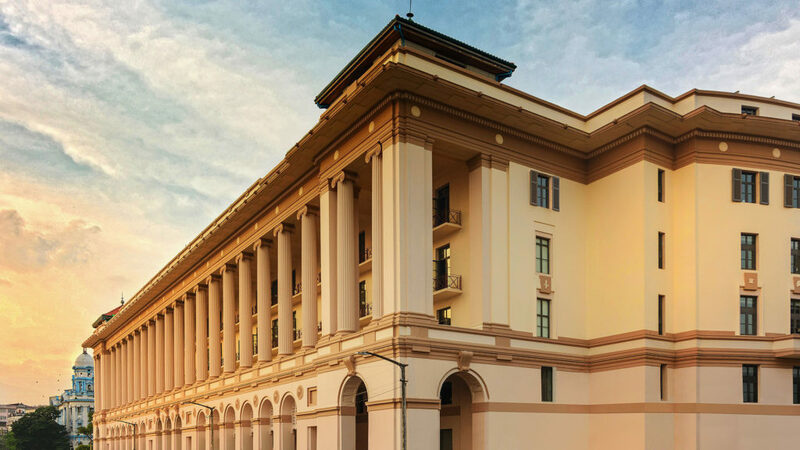 More than five years – and the efforts of legions of local craftsmen and artists – have been devoted to the restoration and reconstruction of the building with the three-storey pillars on its front facade, which was originally constructed as early as 1927. 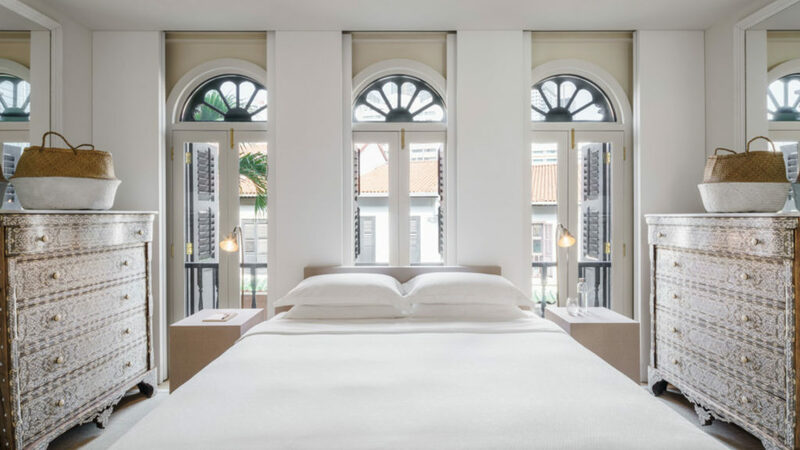 The end result was worth all the hard work: a world-class luxury hotel with 219 rooms, a three-storey spa, the perfect synthesis of old and new. The new rooftop bar overlooking the river, the lights of the city and all the pagodas of Yangon has turned out spectacular – it provides a view on the old Asia and a booming city at once. When are you flying there? And if you do not want to wait until the opening: we have many more ideas in store regarding Myanmar, for old and new Asia in the country formerly known as Burma. The pegs are inserted at the ideal angle of 45 degrees in the dark red ground, the strings are tightly stretched, the side walls are vertical and more than two meters high. Sometimes you find a chandelier hanging over the bed, often there are private pools and to top it off, there are almost always wooden floors, individual baths with a shower and toilet – and often also WiFi. 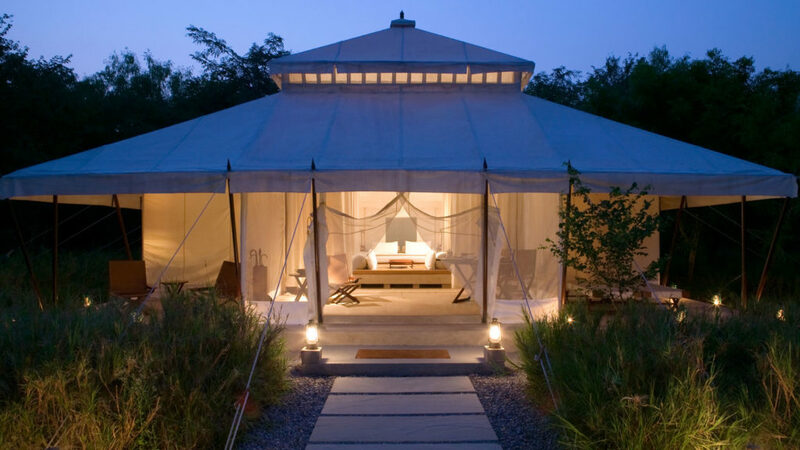 Even international world-class hotel groups cannot ignore the trend of exclusive tent holidays and now orchestrate camping holidays at the highest level and at the most beautiful ‘campsites’ – from India to the Golden Triangle near the Mekong rivers, from the Dubai desert to southern Africa: Oberoi, Four Seasons and Aman now have high-class tent camps, while African high-end safari operators like &Beyond and Wilderness have had them for a long time. Even the term ‘glamping’ has been coined specifically to describe this experience, combining glamour and camping. As for the luxury equipment of the tents, there are virtually no limits. 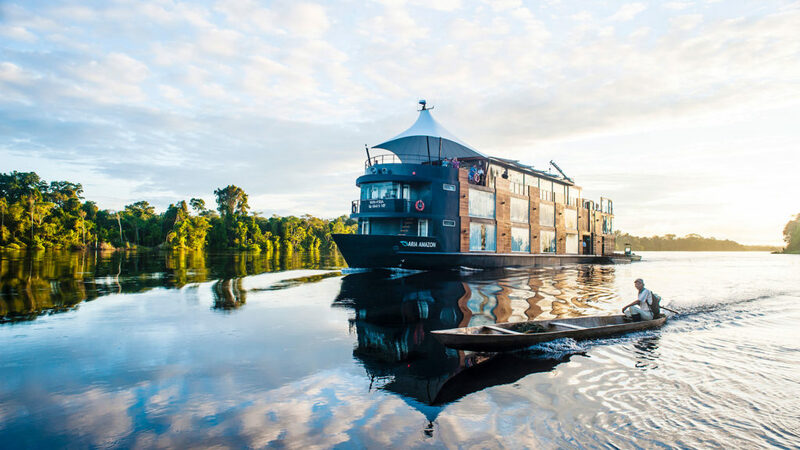 While generosity and comfort come at a price, experiencing the freedom of wilderness in the most breathtaking natural settings and the most spectacular accommodations is simply addictive! Some things you just have to preserve and relocate so they can outlast time in a place where they are valued and admired. Sometimes, that is a whole forest of centuries-old camphor trees, each one of them up to 30 meters high. 10,000 sacred trees were in the way of a dam project in Jiangxi Province, so botanists and engineers excavated them and replanted them 700 kilometers further, near the gates of Shanghai. Along with them, 25 village houses from the Ming and Qing Dynasty were moved to the same place. 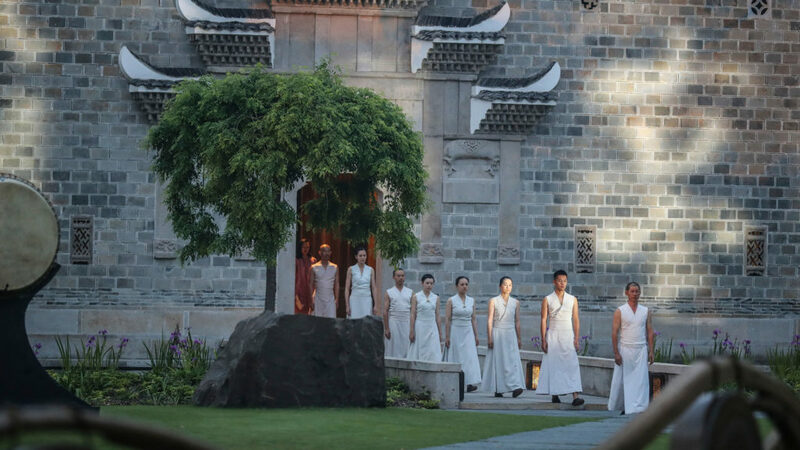 They were deconstructed stone by stone and equally rebuilt to now form the heart of the new luxury hotel Amanyangyun, a 40-minute drive outside of Shanghai – in the middle of the forest of sacred trees. All of this was complemented by 24 newly built one-bedroom suites that blend in perfectly – each with two private courtyards, one outdoor bath and fireplace. It is a place where you can feel the spirit of China, where you can feel what the Middle Kingdom is all about. Close to the pulse of Shanghai, easy to reach – and yet in a completely different world. How nice that such a place exists – and that we can design the right journey for you.